As the Chinese Government announced the new environmental law, all the drilling waste should be treated to meet the new regulations, and not waste pit is allowed to dig for the drilling which has been done for many years before. As a local drilling waste management equipment manufacturer with a lot of experience for international drilling waste management, GN Solids Control has the significant advantages for the this business. Since most of our local competitor do not have enough experience for the drilling waste management as they focus on the domestic market only. The domestic market does not have the requirements for drilling waste management before. From June 2014 to June 2015, GN Solids Control has already offered drilling waste management equipments for over 40 drilling rigs. The equipment include but not limited to vertical cuttings dryer, shale shakers, waste decanter centrifuges, drilling cuttings solidifications unit, screw conveyor, feed pumps ,screw conveyors etc. 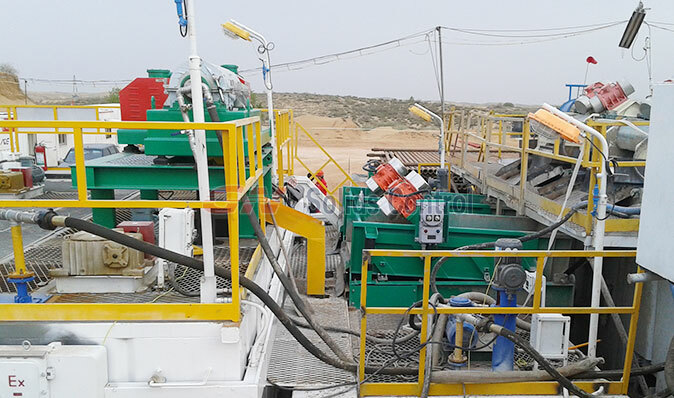 Two High G drying shaker on the low profile mud tank set up below the drilling rig primary shale shaker. The drilling waste discharged from the rig primary shale shaker will drop down to GN high G drying shakers with G force up to 8.0. The drilling fluids will go though the screen mesh and goes down to the underneath tank. The solids will be discharged from GN high G drying shaker and picked up by the screw conveyor. The submersible pump will take the drilling fluids treated by GN High G drying shaker and feed to GN waste decanter centrifuge. 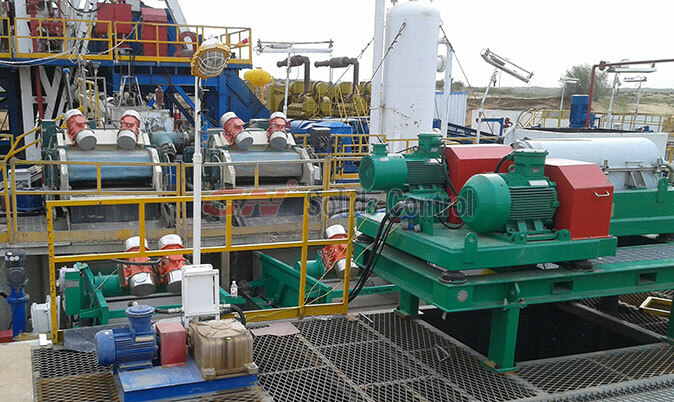 Depends on the quality of the drilling mud, The drilling fluids after treated by GN waste decanter centrifuge can be return to the active mud system or diluted before return to the active mud system. Also GN provides the dewatering treatment with chemically enhanced centrifuge separation to get rid of the ultra fine solids to meet the requirement for closed loop mud system.